The Gay Games is an important piece of new social history, examining one of the largest sporting, cultural and human rights events in the world. Since their inception in 1980, the Gay Games have developed into a multi-million dollar mega-event, engaging people from all continents, while the international Gay Games movement has become one of the largest and most significant international institutions for gay and lesbian people. Drawing on detailed archival research, oral history and participant observation techniques, and informed by critical feminist theory and queer theory, this book offers the first comprehensive history of the Gay Games from 1980 through to the Chicago games of 2006. It explores the significance of the Games in the context of broader currents of gay and lesbian history, and addresses a wide range of key contemporary themes within sports studies, including the cultural politics of sport, the politics of difference and identity, and the rise of sporting mega-events. This book is important reading for any serious student of international sport or gender and sexuality studies. "Caroline Symons remedies this with an impressive history that not only provides an absorbing account of each of the Gay Games from 1982 to 2006, but shows how their stories and tensions can shed light on many of the analytical concerns that have come to the centre of academic scholarship over the same time period. Theories of sexuality, gender, identities, bodies, politics, place, race, masculinity, femininity and many more, are put to work – explicated, complicated, and contested – to help us understand more fully the triumphs and trials of these games." 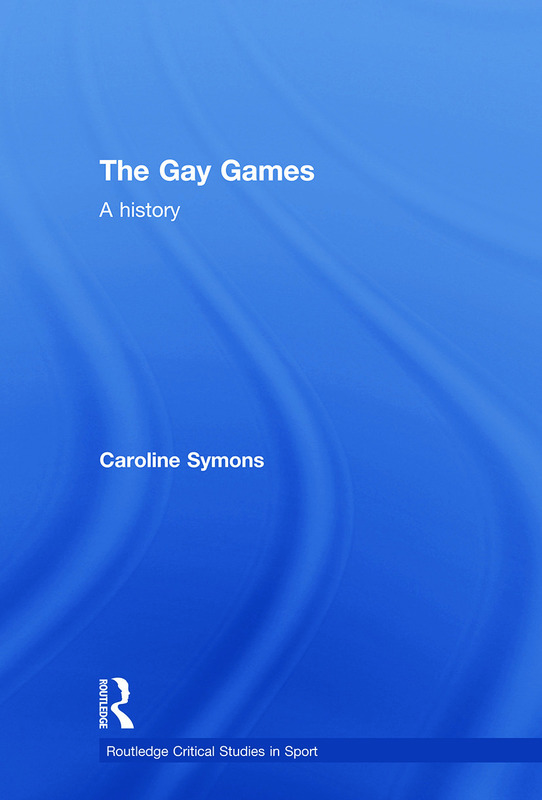 "It is clear that Caroline Symon’s (2010) The Gay Games: A History will be an essential contribution to this field of study. This is not just because of Symon’s exhaustive work on the Gay Games and their participants analyzes individual athletes; but it is also because Symons promotes our understanding of the inter-connectedness between social movements and gay/lesbian athleticism at on an increasingly global scale. This work is crucial for understanding the relationships between identity politics, sport, and sexual minorities; and it is a necessary work." Symons' book, The Gay Games: A History, has won this year's Australian Society for Sports History (ASSH) Book Award prize. ASSH said Symons' book was a "meticulously researched and sophisticated social history" and promoted "centrality, as opposed to the marginality" of GLBT people in sport. "The Committee considers The Gay Games: A History an engaging narrative that reveals both the lived experiences and personal stories of individuals, groups and communities involved in the organisation and participation of various Games". Caroline Symons in Senior Lecturer in the School of Sport and Exercise Science and the Institute of Sport, Exercise and Active Living at Victoria University, Australia. The Routledge Critical Studies in Sport series aims to lead the way in developing the multi-disciplinary field of Sport Studies by producing books that are interrogative, interventionist and innovative. By providing theoretically sophisticated and empirically grounded texts, the series will make sense of the changes and challenges facing sport globally. The series aspires to maintain the commitment and promise of the critical paradigm by contributing to a more inclusive and less exploitative culture of sport.